- Applying and getting load sanction from Electricity boards. - Making drawings of Electrical layout & distribution system as per IE rules and getting approval from Electrical Inspector Department. - Getting load released including complying all the formalities required to be done with Electrical Inspector and Electricity board. 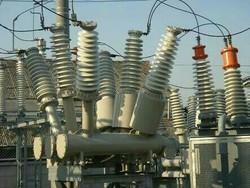 We are Consulting Electrical engineers. We are in the field of Electrical Engineering since 1985.We have served Industry and Government sector, as consultant, contractor and supplier of industrial electrical goods. We provide technical services for the following area. 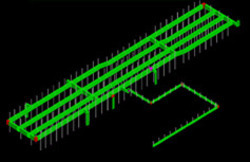 Project Planning and Design is an integral part of rapid growth in infrastructure development. Our Project Planning and Engineering design services brings the innovative technical solutions combined with latest tools and advanced technology to the complex challenges being faced by various sectors and industry in developing economies. Chief Electrical Inspectorates - approval of drawings and permissions/clearances of Plant electrical system, DG, Transmission/Distribution overhead lines. Build Up Area / Size: as per req. Site Location: as per req. Empowered with our expertise and supported by our electrical engineers, we offer our electrical engineering consultation that encompasses cabling to installation of various electrical systems like fire alarm and CCTV cameras, etc. Execution various electrical job work, we ensure that no loopholes are left for shot circuit.